The books from this series are starting to win me over, although it's tougher now than when I read the Mageri and Seven series. Those I liked almost instantly from the start whereas I'm still undecided with this one. I must say, however, that I loved the part about John the ghost. Including his ending a little over halfway through the book. All I'll say about that is that his story ties in with an aspect of what went down during the Mageri series. To say anything further would be to ruin the surprise. Although I fell in love with him before knowing his full identity for the simple fact that he got rid of the rest of the ghosts haunting the mansion to please Wyatt. As for the rest of the book, all I have to say is wow. I never saw that end coming either. Realizing who was murdering all those women came entirely out of left field. I'd like to commend Ms. Dark on deftly weaving the murder-mystery into this storyline. I think all that's keeping me reading this series is those small glimpses of the Mageri series characters we get from time to time. The only other thing, which comes in a distant second, is Raven's past. Who is the vampire who almost turned her and who was the Creator? Will she end up confronting either of them in future books? And what will happen when she does? I expect her future with Keystone will be rocked to the foundations when that occurs. Count on it! Every little detail in this book works towards the conclusion I really like the fact that the author put so much effort into making every chapter a hidden clue to who the murder is but also having romance and action blended in. Great Characters, Storytelling & Humour!! Dannika is one of my favourites. She makes you laugh and then cry. I love the little gifts she gives us from past series charactors. 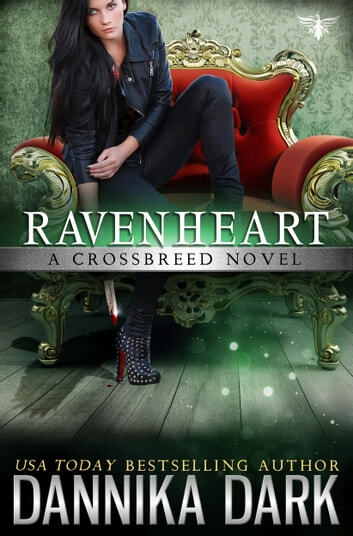 I didn't care for Ravenheart as much as the first book in the series. It fell flat with minimal suspense, much of it predictable. 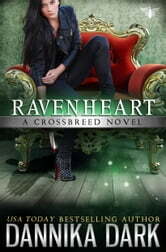 I wasn't feeling the chemistry between Raven and Christian like I did the first book. I was pretty disappointed because I usually love all of Daninika Dark books. Hoping I'll live the next one better when it comes out.